For more than a decade, Shoe Therapy® is a blog article series, a TV show on HSN, a YouTube show, and podcast — with more TV and podcasts in development as we speak. Watch this space! *This is a partial reprint of an article from my original 2006 blog article series called Shoe Therapy© ® . So, what is Shoe Therapy®? Isn’t that just like, a shorthand people use for shopping? Although you might think so, no. Shoe Therapy® is an actual piece of truly original intellectual property I created back in 2005. First it was an article series, and has been developed into multiple TV shows and web shows and podcasts. Shoe Therapy® is talking to celebrities about their shoe obsessions – and so many other things besides! As I write about in my books, and talk about frequently on TV, and interview celebrities about, shoes, unlike any other item we put on our bodies, have a physiological effect; they effect the way we walk, stand and operate in the world. While this seems somewhat self-evident, it is also quite profound. For when we change our physical body, we can change the emotional body too. Shoes have the power then, to change our feelings, our mood, and indeed how we feel about ourselves in any particular moment. Once you know this great power shoes have, you no longer scoff at the Shoe Therapy. No, you realize shoe therapy is something much more deep and more impactful than you ever may have imagined – also fun, since we delve deep into shoe obsessions. Shoe Therapy can be analyzing someone’s shoes, then asking a few key questions, and prescribing a new pair of shoes — but sometimes it’s just having fun with a celebrity and their shoe obsessions. Sometimes getting people into a new pair is not an entirely different style – it can just be an upgrade to an existing favored shoe. I once had a clog girl, used to donning only paint-spattered clogs in her art studio suddenly get incredibly inspired by a pair of ultra-luxe, suede and bejeweled clogs. They took her in an entirely new direction. I have worked with hundreds of women (and some men) one-on-one working with them to find out where they are in life, where they want to go, and literally giving them the shoes to get there. I also give shoe therapy on my television show Shoe Therapy© on HSN; on-the-spot shoe therapy to guests at the many events I attend at Made in Italy, Bloomingdales, Macy’s, LUCKY Shops and the like; and I work with private clients and take them through a proprietary questionnaire, a visual analysis of their shoe closet, and point them in the direction they want to go. In my more than twelve years of shoe therapy, it never ever fails to delight me when I see a person step into a pair of shoes. The change is visceral. People walk differently, carry themselves with new confidence, stroll out into the world. And wouldn’t you know it, my shoe therapy and the way I think about how shoes effect us, was born out by a university study. In 2007, I turned this series into a TV show which was broadcast on HSN to more than 80 million homes – and did we have fun. There’s nothing more exciting than giving live Shoe Therapy to people on-air. Shoe Are You? Shoe Therapy is my show on YouTube and as I mentioned above there is more Shoe Therapy in development. 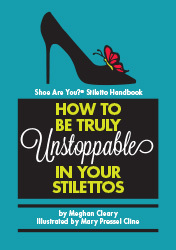 To read the rest of the Shoe Therapy™ series click below. Shoe Are You? 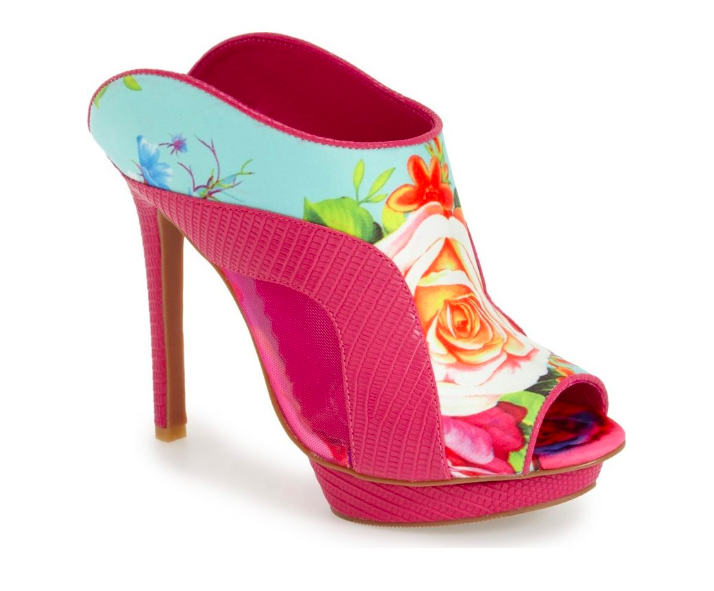 Shoe Therapy® show on YOUTUBE if you haven’t caught it, me talking celebrity shoe obsessions! If you would like more information or would like to book Meghan for a Shoe Therapy event, or session, just, Send us an email.